Information technology refers to the use of systems especially computers and telecommunication for storing, retrieving and sending the information. System are the interrelated and interconnected set of activities that are combined together to achieve common objectives. The use of IT is very important to the business as it serve the basic purpose of providing the information about the market, customers and competitors etc. It is the valuable asset to the organization that helps the businesses in gaining competitive advantages. These objectives are achieved through Management Information System (MIS) considering its types, importance and components. The role of internet and WWW along with various informational technological and system that helps in decision making. Business models like e-commerce and its trends, importance will be highlighted with considering safety and security procedures. The role of IT is crucial to every organisation to survive in the competitive environment and to maintain core competencies of the business. It helps the organisation in improving the operational efficiency of the business along with increase in customer satisfaction, customer loyalty, brand image and reducing the operational cost in long run. For achieving the business goals and objectives together with exploring IT competencies the organisation need to deploy a good information technology department as a separate functioning. The major role in IT department is of MIS in the organisation. MIS plays a crucial role in managing and providing the information as when required by the organisation. It is the computerised database that generates information in a systematic manner and serves the purpose of all level of management by giving daily reports (Sousa and Oz, 2014). It also helps in making the decision by offering quality information to the organisation. MIS is important to the organisation as it improve the efficiency of the managers and provides interconnectivity with the whole organisation. The major role or importance of MIS is in decision making that give reliable and timely information with a logical and well structured method of information collection, processing and disseminating the decision makers. MIS is the era of liberalization and globalisations that works for the achievement of business objectives. There are different types of MIS that the business can use that are Decision Support System (DSS), Executive Information System (EIS) and Information reporting system. DSS is the most efficient tool for supporting the managers to take the decision on semi-structured and unstructured problems. The common example of DSS is use of excel software to analyse what if questioning. The next is EIS that supports the top management to select, retrieve and manage the information for achieving the business objectives. The example of EIS can be Financial Information Managers (FIMs) that can be used in analysing the project for investment opportunities, store information on database and organise the related aspects. And information reporting system generates reports on information on daily activities that support decision making (P Laudon and C Laudon, 2014). For example: production report on demand such as on current stock levels for specific items etc. This information system helps the business in achieving the strategic objectives by aligning them with IT strategy. But this system has some limitations that have to be considered while its implementation like heavy investments, inflexible, solve complex or unstructured problems only and many more. While evaluating the importance of IT to the business, the management has to understand the concepts of information systems, hardware and software, data and procedures. Data is collected through which the information is converted into meaningful conclusions. Procedures include guidelines, business rules and policies. Hardware is the computer system and devices that are connected to the networks and software is the applications, operating systems and other facilities (Willcocks, 2013). For enhancing the value and use of IT in the business the organisations can use the online internet platform and World Wide Web (WWW) concepts. The organisation can connect through their network to the internet by serving their efficient quality of products and services and with this they are connecting globally covering the whole nation. The internet is the best platform for the today businesses as it reduces the operating cost and improves operational efficiency and opportunities for new learning to the employees. The concept of internet and WWW are attracting the businesses with their appearances in main application areas. The applications areas are publicity, marketing and advertising where WWW plays a crucial in promoting the businesses and gaining access to millions of people (Ackermann and Hartman, 2014). The next area is communication with the use of low cost e-mail using internet services and collaborations that helpful in building the links between the two organisations through internet. The example of collaborations is IBM and Bellcore that uses the internet links to share their workstation. WWW and internet also helps the businesses in direct online selling through creating e-stores, virtual shops etc. and with the use of R&D the business are beneficial in getting the additional information or resources. The organisations should have necessary and strong databases for information system that performs the business operation. Databases provide an efficient mean to store, retrieve and analyze data while the system files can function similar to database but are less efficient. Database Management System (DBMS) is important to business and organisation as it highly efficient method for handling multiple types of database. Without DBMS, the organisation has to perform manually that would take more time. Data is to be structured in systematic manner to suit the need of the organisation (Galliers and Leidner, 2014). For example: organisation HR department can use the database to manage the employee’s records, distribute necessary information to employees and can create the hiring reports. Data warehouse (DW) is the consolidation of data from the different sources that are framed to support the strategic and tactical decision making. The main importance of data warehouse that it give business the logical image of the business at a particular point of time. It encompasses various toolsets so that the users are able to run online queries and store their data. On the other hand business intelligence (BI) is the deposit of methods and technology that the business uses to take the strategic and tactical decisions. The importance of BI is to leverage the technologies that concentrate on statistics and business goals to enhance or improve the business performances (Chen et.al. 2012). Therefore, database, data warehouse and business intelligence have difference purpose in the organisation but serve important contribution in information technology. The organisation can use different oriented technologies; the most common among them are procedure and object oriented technologies. This technology focuses on readability, reusability and reliability. 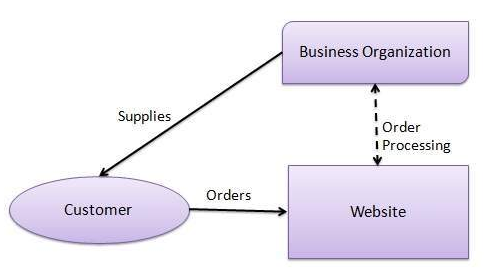 Object oriented techniques are Abstract Data Type (ADT), polymorphism and inheritance. ADT reflects the essential characteristics of the object that distinct from the other things and focus on the class, object, instance, encapsulation, method, message and protocol. Polymorphism means this variable have more than one type. For example: int add (int a, int b), float add (int a, float b, int c). Inheritance is the kind of and part of. For example: a room is the part of house, a kitchen is a kind of room. The organisation can use object oriented programming for problem solving through the change of some characteristics. Object oriented programming languages are Java, C++, Ada etc. through Java 62 % technologies are based. Businesses can concentrate on various information systems that support the organisation for improving the decision making. These information systems gather the information from the various sectors like customers, market, suppliers and competitors etc that plays the crucial role in the functioning of the organisation. 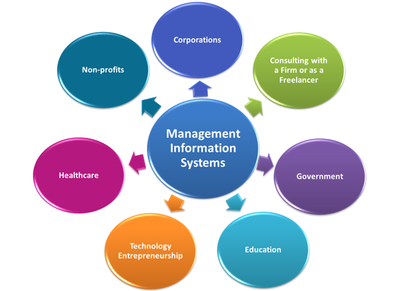 There are basically two types of information system that are Operations information system (OIS) and Management Information System (MIS) that are further sub divided. OIS includes Transaction Processing System (TPS), Process Control System and Office Automation System and MIS includes DSS, EIS and information reporting system that had been explained above. 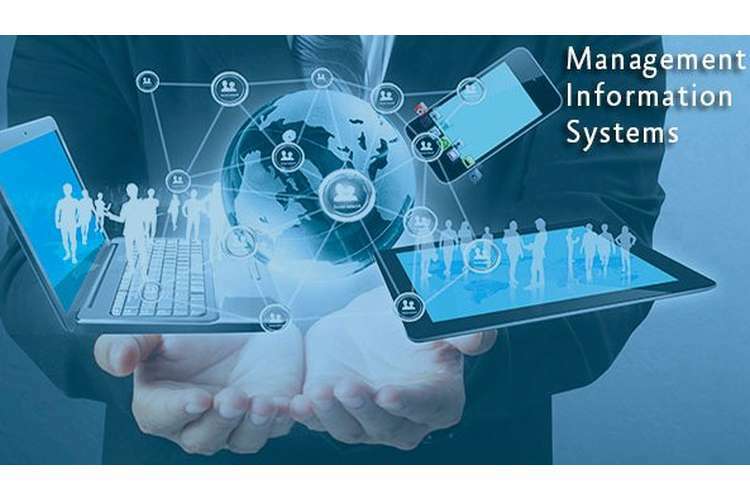 OIS systems are the system that supports an organisation’s business activities and MIS are the computer based system that supports decision making and give feedback on the operational efficiency and performances (Power et.al. 2015). TPS involves recording and processing the data that reflects from organisation business transaction. Process control system is used for supporting and controlling the manufacturing processes and office automation system is the application of IT for the common task carried out in office. The both information system and technology prove to be useful for the organisation but MIS is the most popular and common technique now a days to serve the purpose of the business for making reliable decisions. To use the benefits of information system, the organisation need to put stress on the system development lifecycle (SDLC). SDLC is the logical series of development phases of the information system. It includes various stages that is initiation, feasibility studies, analysis of the requirement of the business, system design, system implementation and finally review and maintenance. At some times phases may vary but overall activities are similar and variance occurs due to different methodology adopted. System planning phase involve initiation, plan schedule and receives approval for the project; system analysis involve understanding the business needs; design includes solution based systems on the basis of analysis; implementation means to construct, test, training to user and install new system and last support that includes that system should be running and continuous improvement (Ward and Peppard, 2016). There are various tools and technique in SDLC that are been considered. Some of them are design tools example: MS Office, Rational software architect (IBM); project management tools example: MS Project, MS Office; configuration management tools example: VSS, Git; Java development tools example: spring source tool, rational software architect; application server, web server, portal server, agile project management tools like Extreme Planner, Target Process; testing tools like RFT, Test Manager; Hot Deployments and Collaborations tools like Sharepoint, Basecamp etc. Thus, tools help the organization and involve complex technology for system development. With the efficient system development the organization can generate the correct information that will improve the decision making on the important concerns (Bell, 2013). With the development in information technology in the businesses, there arises a need for the organization to enter into e-commerce and to analyze the e-commerce business models and trends. To have the global platform, businesses uses the e-commerce models like business to business (B2B), business to consumer (B2C), consumer to consumer (C2C), consumer to business (C2B), business to government (B2G) and government to business (G2B). 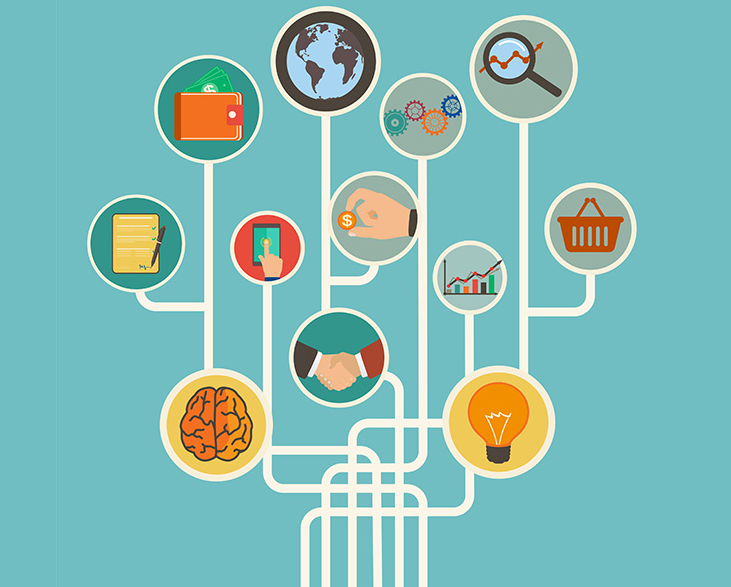 The most common models are B2B and B2C that are used by the organization. 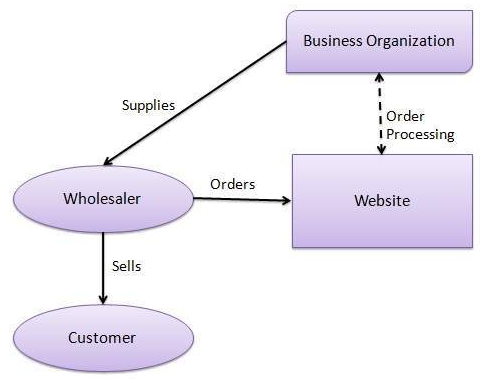 A B2B e-commerce model sells its product to a middle buyer after this buyer sells this product to the final consumer (Shaw et.al. 2012). For example: a middle man places order to organization websites and after receiving the goods, he sells the products to the final consumer. A B2C model sells its product directly to the customer. A customer can directly visit to the organizations website and can view the product and choose the product and will place the order. This is the most famous and common method for online shopping, the organization gives a notification message through the emails after placing the order and then dispatch the product for sell to the customers (Chiu et.al. 2014). The above two business models are used by the organization which enhance the profitability of the business and also improve the customer satisfaction and customer loyalty towards the business. And also act a global platform for entering the business globally across the nation. The common e-commerce trends are multi devise shopping, personalization and conceptual shopping, customised product demonstrations, product videos, multi channel marketing, social media advertising etc. are the trend that are commonly used by the businesses. With the usage of internet technologies at great scale, it is critically analyzed that the organization is greatly affected by the ethical issues, threats related to privacy, intellectual property and copyright of the organization. Computer crime and digital forensics is to be considered in the world of IT because the hackers usually in look of the opportunities to hack the internal data of the organization through organization networks. The common ethical issues that the organization faces is web spoofing that means the attackers set up the fake website that is almost same to the original websites to gain the undue advantage of credit card numbers etc. E-mail spamming also involves using e-mail to send or broadcast unwanted advertisement over the internet (Burkell et.al. 2015). Privacy invasion, cyber squatting are also some of the ethical issues that are usually faced by the organization. There are various threats related to IPR is the complex supply chain that deals with fake products and components in the virtual organization including military equipments, pharmaceuticals etc. The copying of the same technology and distributed around the world is also threat to the IPR, cyber intrusions attacks lay threat on the organizations data, customer data or payment information for thousands of customers across the nation. The challenge is for theorganizationn as well for the government to anticipate the potential risks and threat and find the solution for the problems through risk management approaches. Computer crimes that are increasing day by day are spam, phishing, information warfare, frauds and identity theft, wire tapping, spoofing, IPR theft etc. It is the act performed by knowledgeable computer user, who illegally enters and steals the organisation private information and sometimes this person may be cruel and destroy or corrupt the computer database and files. So before excessive use of IT in the business the organisation should carefully analyse the system security through various means like cryptography technique, biometrique devices, door locks and security keys measures to be install in the system (Taylor et.al. 2014). With that the businesses will consider new trends in MIS that will be helpful for the organisation in improving the decision making function. The trend includes data mining, cloud computing, networking and digital preservation. Cloud computing is the key emerging trend that allow the organisation to overcome the problems of storage capacity in their database system. It provides common database and resource sharing that promotes centralised management structure and easy maintenance. It has the ability to create a special application that can be run on mobile; tablets etc and provide greater flexibility. However, increasing the dependency on analytics for solving and measuring the organisation performance is also a trend that the managers use to plan the strategies on the basis of the records and information exists in the market (Baltzan, 2012). In the MIS101 Management Information Systems Assignment Solution, the role of information technology and its value to the organisation for achieving the competitive advantages had been analysed. The use of different management information system and there importance had been highlighted. The essay depicted the various database, data warehouse, business intelligence of the organisation along with object-oriented technologies. Further, the concept of internet, WWW, the role of e-commerce business models and its trends had been explained. The security and ethical issues, threats to the system, intellectual property right etc has been discussed and how to overcome with this threats. At the end, the essay had analysed the increase in computer crime and emerging trends in MIS. Ackermann, E. and Hartman, K., 2014. The information specialist's guide to searching and researching on the Internet and the World Wide Web. Routledge. Baltzan, P., 2012. Business driven technology. McGraw-Hill/Irwin. Bell, S., 2013. Learning with information systems: Learning cycles in information systems development. Routledge. Burkell, J.A., Fortier, A., Di Valentino, L. and Roberts, S.T., 2015. Enhancing key digital literacy skills: Information privacy, information security, and copyright/intellectual property. Chen, H., Chiang, R.H. and Storey, V.C., 2012. Business Intelligence and Analytics: From Big Data to Big Impact. MIS quarterly, 36(4), pp.1165-1188. Chiu, C.M., Wang, E.T., Fang, Y.H. and Huang, H.Y., 2014. Understanding customers' repeat purchase intentions in B2C e?commerce: the roles of utilitarian value, hedonicvalue and perceived risk. Information Systems Journal, 24(1), pp.85-114. Galliers, R.D. and Leidner, D.E., 2014. Strategic information management: challenges and strategies in managing information systems. Routledge. P Laudon, J. and C Laudon, K., 2014. Management information systems.